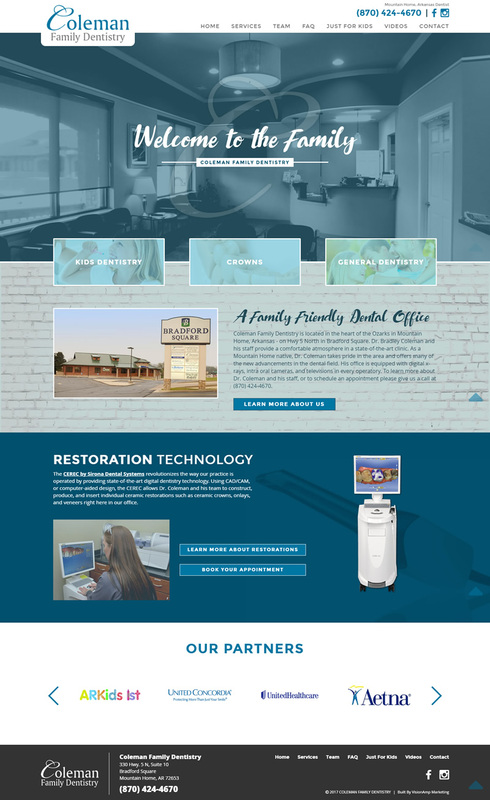 Coleman Family Dentistry needed a responsive, mobile friendly design with more individual pages of content. The website design was several years old, and was difficult for the client to update regularly. VisionAmp worked closely with the client to create a simple, aesthetically pleasing site that would work well on all desktop and mobile devices. 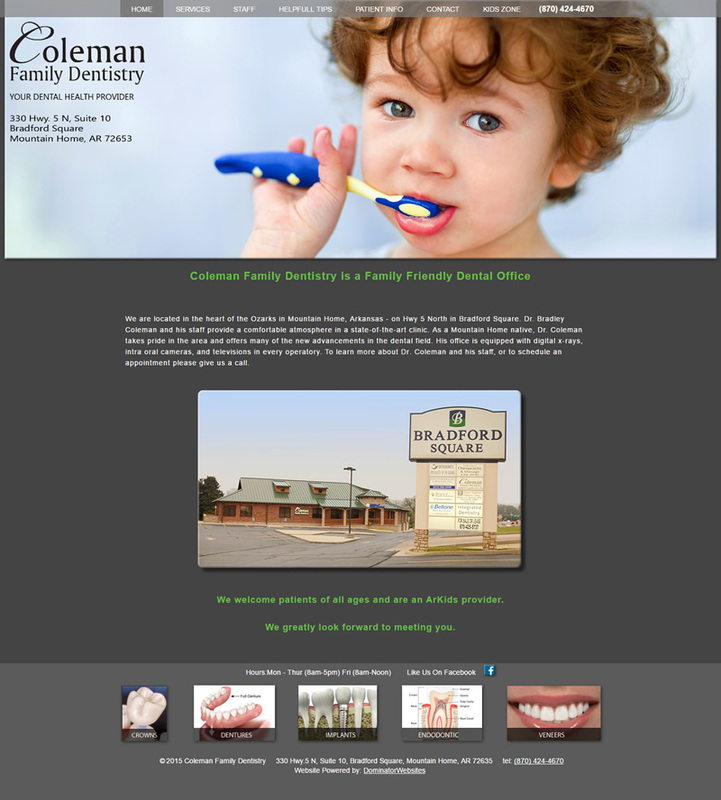 Coleman Family Dentistry is located in Mountain Home, Arkansas and offers a state-of-the-art clinic that specializes in family and child dentistry. His office is equipped with digital x-rays, intra oral cameras, and televisions in every operatory. To learn more about Dr. Coleman and his staff, or to schedule an appointment please give us a call at (870) 424-4670.